I have lived in Utah almost my entire life and it was not until this year that I finally made it to the (Great) Bonneville Salt Flats. Before going I found that the information available for what it would be like and how to get there was a bit lacking, so I decided I would put this guide together in hope that it might help. Pull over off the side of the freeway (note: I think this is a terrible idea and am just listing it because it is indeed an option). It will take about 1 hour and 30 minutes to get here from Salt Lake City and about 1 hour and 50 minutes to get back to Salt Lake City (you will have to continue on to Exit 4 from the rest area to turn around. The reason I recommend this as a place to stop is because the rest areas have places to park, and water to clean off your feet. Depending on the time of year you visit, there might be water or possibly even mud (more on this below) so being able to wash off your feet is a nice thing. If you are going from Wendover to Salt Lake and want to stop at the east bound rest stop, the stop itself is similar to west bound and has a place to wash your feet but you won't actually be able to walk on the majority of the salt flats. There will be a small strip of salt to walk on in-between the rest area and the train tracks. If you want to take cool pictures then I DO NOT recommend going to the east bound rest stop. 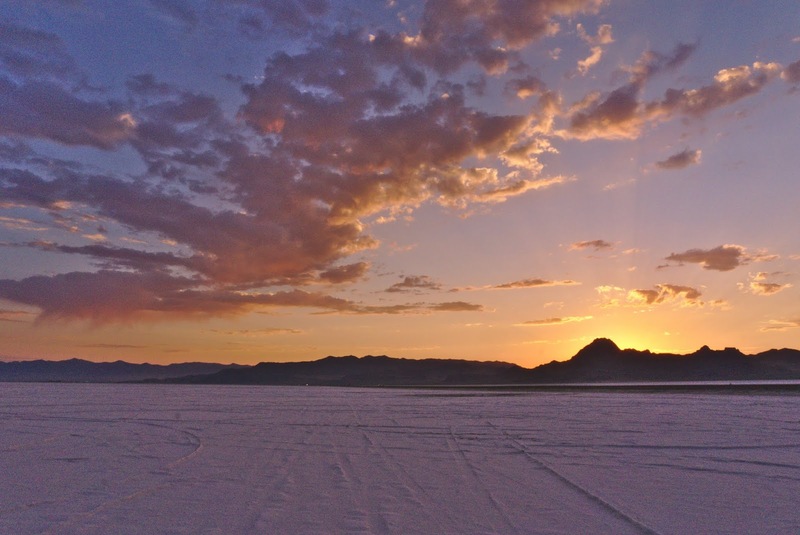 Instead you should go to the marker for the Bonneville Salt Flats International Speedway. There is no way to (legally) get to the west bound rest stop from here. The nearest exit for you to turn around is about 40 minutes away. This is the best place to go if you are coming from the west (Wendover) and going east (Salt Lake). It is also a good option (and almost as quick) if you are coming from Salt Lake. It is about a five minute drive from Exit 4 on the freeway. The road (Leppy Pass Road/Bonneville Speedway Road) basically just drives out into the salt flats. Eventually there will be an International Speedway marker/sign. You can just stop and park at the end of the road or pull over anywhere on the side of the road. There is not a place to wash off your feet but you can always choose to go when there won't be any water and that won't be a problem. This is probably only a good option if you want to see the Tree of Utah statue, or if you are driving through to Wendover. There is not really a parking area, just a place to pull off. Make sure you are using your GPS so you don't miss it. If you are going specifically to see the salt flats, then you will still have to go to Exit 4 just to turn around (40 minutes there and back) so you might as well just go to the rest stop. Terrible option: Pull off on the side of the freeway. While this has been done and there is no fence that will prevent you from going onto the salt flats, parking on the side of the freeway I am pretty sure is illegal and just an all around terrible idea. It won't save you any time. 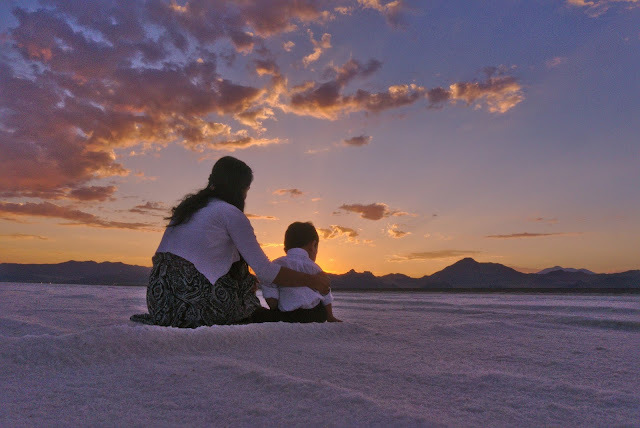 While the salt flats is one of the coolest things I have seen in Utah, the nearly 4 hour round trip from Salt Lake makes it quite the trip for just stopping by to take a look or snap a few pictures. You will definitely want to plan ahead to make it work your while (maybe find something fun to do in Wendover or something). I made the trip when I was on my way home from California. That was a good decision. It took very little time out of my drive home and was well worth it! I suggest if you do go, plan to stay there for at least an hour or more. Take plenty of water (and probably some towels) and a good camera and gear. When is the best time to go for taking photos? 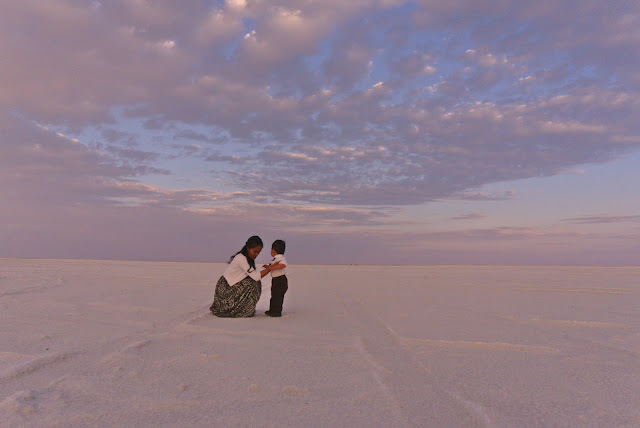 If you are going to take photos, then you will have to decide if you only want the salt flats or if you also want water in the shot to act as a reflection. 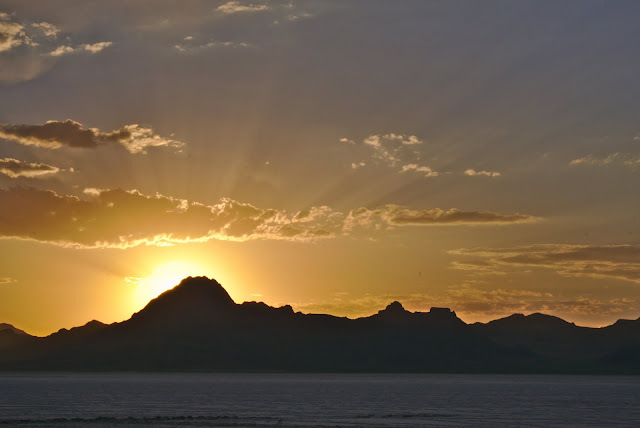 At this time, depending on storms and temperature, you will likely find ice, snow, or some water on the salt flats. If you are looking for water, you will probably want to go after February and before July. You might still get some water in July. Again, this all depends on the storms of the current year and likely is different each year. I went in early July and did not see any water at all. This is a bit more hit and miss and I think depends a bit on location. In general though, it seems that the late fall and late spring is when you are going to encounter mud. Again, keep in mind that a lot of this just depends on storms and weather conditions. Perspective photography with (or without) props - Go during the dry season. I would suggest going right before golden hour so you can stick around for that for portrait photography. Portrait/wedding/engagement photography - Go either during the water or dry season. If you go during the water season, make sure you come prepared to get wet. If you plan on finding a spot that is dry (to lay out a dress) but still want water in front, then you will likely want to go in August, June, or July when there is still some water but it is drying up. Be prepared to do some walking to find just the right spot. Plan ahead... make sure you show up plenty early to scope out your spot. 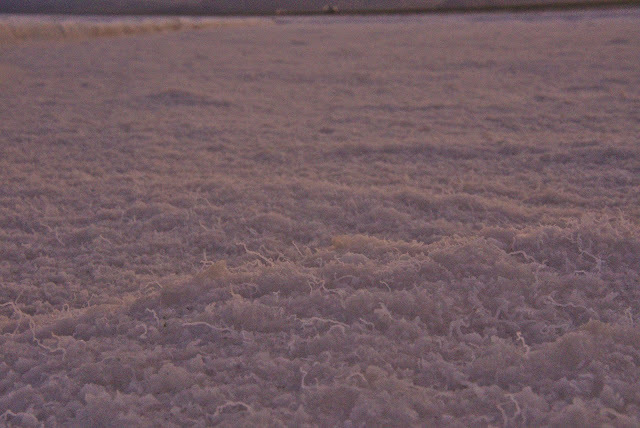 I honestly think that the salt flats are one of the coolest things I have seen in Utah (and I have seen a lot of cool things in Utah). It is unfortunate that it is so far away from anything else (unless you live in Wendover) but it is definitely worth it if you can make a trip out of it. I definitely suggest if you are going to drive through Nevada to California or Oregon (or Nevada I suppose) then you should plan it so you can stop through the salt flats. Check out the Golden Hour calculator to see when Golden Hour or the sunset will be. If you can't make it at that time, make sure that you take a lot of cool props so you can take perspective pictures. 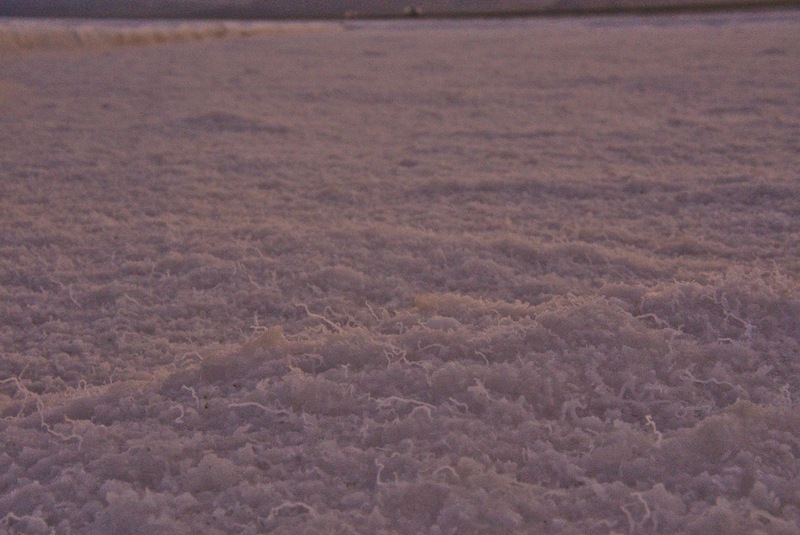 Below are some of the photos I took while at the salt flats in early July. WoW! I love these beautiful Views.